This article has been viewed 9212 times. 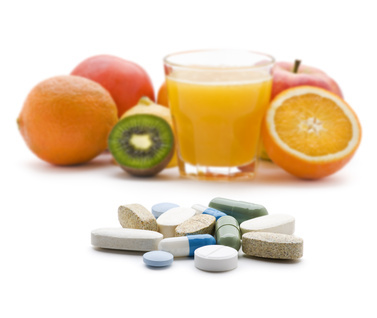 Food supplements are a natural based substance that can be taken in many different forms in order to balance the levels of certain minerals and vitamins in our bodies. They can be found often as capsules, tablets, powder or even liquid form and are taken on a regular basis. In an ideal world, we would be able to obtain all the necessary dietary requirements from eating a balanced and healthy diet. Though, in reality our foods are generally lacking in the essential amounts of minerals and vitamins that we need to intake on a daily basis. Most vitamin and mineral tablets come in a pill form which contains isolated nutrients that have been obtained from their natural sources. Food supplements are more beneficial for our systems because they are kept in their natural state and so are easier for our bodies to absorb. As a comprehensive substance, these supplements provide you with all the ingredients that you need to create a balanced diet. The enzymes, fibers, antioxidants and nutrients are all kept in the final product with no wastage along the process. Nutrients that are present in foods are usually found alongside certain digestive aids with help them to be absorbed and accepted into the bodily systems, if you are only taking isolated vitamins and minerals then you will find that the rate of absorption is a lot lower and a lot of the benefits are lost. Even though you could potentially gain the required amount of all the vitamins and minerals your body requires from simply eating foods, there is very little chance that you could regularly eat the quantities of the food required in order to gain the minimum amounts. Instead of trying to eat loads of fruit and vegetables on a daily basis, you can simply have a quick drink of food supplement or a capsule and you are ready to go. Having said this, it is important to remember that supplements are not an alternative to a balanced diet, rather an accompaniment and enhancer and you should always be guided by a medical professional.